What do Bonds tell you? Bonds are more or less just loans. Where they differ from ‘normal’ loans is that bonds can be traded. Governments and (large) corporations issue bonds (loans) and thereby borrow money at a specific interest rate (coupon) and for a specific amount of time (maturity) or term of the loan. In the past, bonds were issued in books of coupons. That ‘coupon’ term sticked around since then. 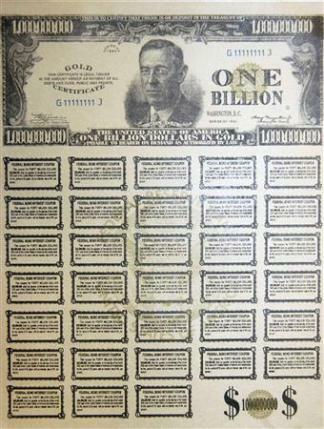 Fake U.S. Treasury bonds displayed during a news conference in the southern Italian city of Potenza. A Par Value of the bond, e.g. 10.000 US$. The Coupon or Interest Rate, e.g. 3%. has to be paid back to the lender, e.g. 5 year. Lets say you buy a bond with a par value of 10.000 US%, a coupon of 3% and a maturity of 10 years. Then 2 months after you got tat bond, the same issuer offers the same kind of bond for a coupon rate of 4%. Now, all of a sudden you are ‘stuck’ with a bond that is not going at the current coupon rate of 4%, so if you want to get rid of that bond and thus sell it, you have to sell it at a discount. Get it? Another way of looking at the yield is to look at the housing market. Assume you are considering buying a house to rent out to a tenant. There are two locations you are looking at. One is in the heart of London and the other in a cheaper location, but in both cases, you assume you can rent out the house and catch a rental income of 1000 pounds per month and that the demand is high in both areas and the 1000 pound/month is a maximum you can ask from your potential tenant. Now assume that in the center of London you can buy the house for 400.000 pounds while in the other cheaper location you can buy a house for 250.000 pounds. Both houses will render you the same rental income, being 12.000 pounds per year. However, the yield on the 400.000 pound property is 12.000/400.000 = 3% while the yield on the 250.000 pound property is 12.000/250.000 = 4.8%. Remember, if the underlying value is going down, the yield goes up. Now we go back to bonds. If we bought a bond with a par value of 10.000 US% with a coupon of 3% and a maturity of 10 years, that bond can be traded but you will not always get the par value for it. So if there is a large demand for bonds, the price of bonds go up and the yield goes down. If everybody is selling their bonds, the par value of bonds goes down and the yield goes up. Bonds are bought in bad times as they are considered a safe haven. When the sentiment is ‘risk on’ again, bonds are abandoned for investments with a higher return such as commodities or equities. The par value of bonds goes down and with it the yield goes up. So in the end, when the yield goes down, this means bonds are in high demand, thus the market sentiment must be ‘risk off’. If the yield goes up, then this means bonds are being exchanged for higher rendering investments with more risk associated with them, so the sentiment is ‘risk on’. Therefore, the bond yields give you a way of looking at market sentiment. Quantitive easing (QE) is a mechanism used since the 2008/2009 crisis and is basically a way of printing money by the central banks. It doesn’t really print the money but just adds the money to its balance sheet by adding some more zeros to it. It is something the Federal Reserve as well as the European Central Bank has been doing since the most recent financial crisis. On the one hand, it devalues the underlying currency and thus stimulates (or that is what the central banks hope so) demand and drive inflation into the economy. On the other hand, it destabilizes the bond market. One way to overcome the influence e.g. the Federal Reserve has on the bonds is to look for your analysis at the US Unibond market. These bonds are not issues by the FED but by municipal authorities in the US. It is a way to get a better representation of the free market as these US Unibonds are not directly influenced by the Federal Reserve QE actions. At the same time, the US Unibonds are secure like the US Treasury Bonds. A more advanced way of looking at the yields is to look at the yield curve. Yield curves can give you some good information on what the economic outlook could be and if it could go into a depression or not. 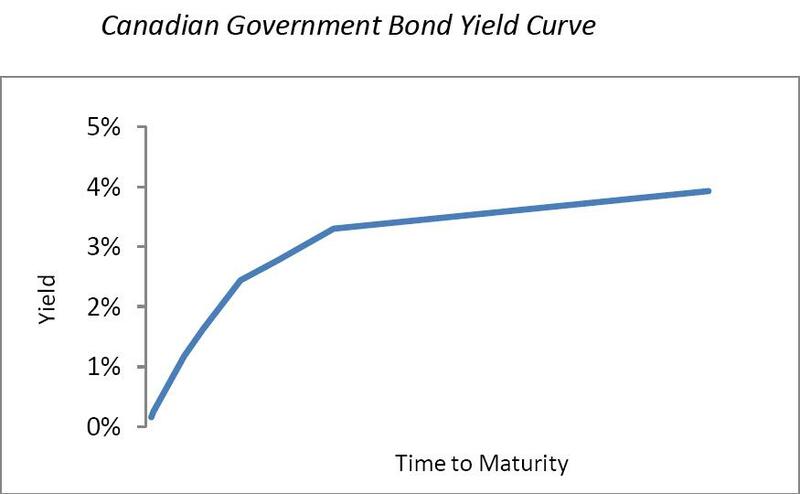 Canadian Government Bond Yield Curve example. 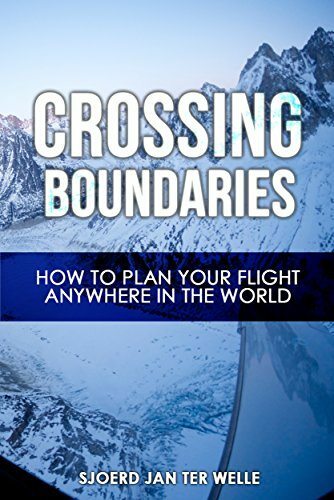 A Three Dimensional Approach to Forex Trading by Anna Coulling book. Yield curve Wikipedia Yield curve article. Bond Yield Curves Investopedia Investopedia article.